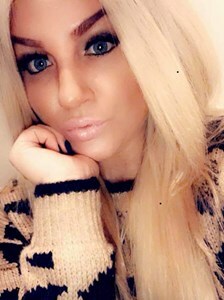 Newcomer Family Obituaries - Olivia 'Liv' Hamey 1984 - 2019 - Newcomer Cremations, Funerals & Receptions. Olivia “Liv” Hamey, 35, passed away unexpectedly on April 11, 2019. She was born April 9, 1984 in Medina, Ohio. She was a graduate of the University of Akron and was employed by Aultman Hospital in Canton as a social worker. Liv was a loving and devoted mother, daughter, sister and friend to all those lives she touched. Liv will be remembered for the love of her two children Sadie and Shawn. She was determined and worked hard to provide the best life possible for her children. Liv was a go getter and inspired all who knew her. She loved to shop, travel, cook and go the gym. She loved everything pink. Liv had a vibrant personality and could make anybody laugh with her wittiness. Liv was preceded in death by her maternal grandparents, Richard and Elna Paintiff; and paternal grandparents, Jack and Alice Hamey. She is survived by her mother, Loni (Keith) Kirkland; father, James Hamey; children Sadie and Shawn Whitlow; siblings, Mary (Britt) Keen, Andrea (John) Inman, Douglas Hamey, John Lowther; nieces, Gwendolyn and Gabriella Inman; and nephews, Brody and Colton Keen. She also leaves many numerous aunts, uncles, cousins and a large family of friends. Visitation will be from 10am-12pm on Thursday, April 18 at Newcomer Funeral Home, 131 N. Canton Rd., Akron. Funeral service at 12pm. Interment to follow. Add your memories to the guest book of Olivia Hamey. My deepest sympathy to the family and friends who loved her. As many have said already, I will remember Olivia's smile, her kindness and her eagerness to learn, as she began her Field placement and her career as a Social Worker. To her children, her family and her friends please accept my Heartfelt Sympathy. Our sons became best friends in kindergarten... I remember her first words to me were “Hey girl”! Like we had been friends forever. She was always so kind and didn’t mind the countless sleepovers between the boys at her house. My son did nothing but gush over how nice Liv was and how much fun they always had. She was truly a beautiful soul that will surely be missed. Olivia was one of a kind. When I started to work with her, she welcomed me with open arms and always had a smile for me. She was a colorful personality and so much fun to be around. You will be deeply missed. May her children remember only the good and happy times. I am so sorry to family, friend and co-workers for the horrible loss. May she rest in God's arms and watch over all of us. I'd like to extend my condolences and sympathy and prayers to the family at this time of tragedy. Although I didn't know Liv personally, Keith is my cousin. Soon very soon no more death, sorrow, mourning or pain. Rev.21:3-4. "My heartfelt condolences to the family of Liv, during this time of sorrow. You're in my thoughts and prayers. Liv impacted the lives of all those that crossed her path. She truly left a smile in my heart. She was a great mom and friend to my (daughter) Deidre, (son) Corey and grandchildren. She will never be forgotten, and my prayers will never cease for the family"~ May the Peace of God Be with You. Liv will be missed dearly, my condolences to her family and her babies. Praying for peace for all involved, prayers over Sadie and Sean forever! Long live Liv, missing your beautiful light in this dark world already! ???? There are no words to describe the pain, loss, and heartbreak we are feeling. We will miss that beautiful smile and infectious laugh! When you walked in to my office for your interview years ago, I knew we had found someone who was unique, kind, caring, and would be a true patient advocate. Your work with our patients and families will never be forgotten. You helped so many!! Your Aultman family will miss you! We will keep you family and your children in our thoughts and prayers. Just thinking about how your two cousins and grandparents are welcoming you home. Rest in peace. You were such a blessing to work with. You have so much love for your children. You will be greatly missed. I met you about 3 years ago when you started at aultman. The second I met you, your love of life and your vibrancy was obvious. Over these past few years especially after our desks were put by each other I had the pleasure of getting to know you on a much deeper level. I was able to see how much you loved your children. They were truly the jewels on your crown. I enjoyed hearing about your trips and silly stories. You challenged me with your confidence and assertiveness to try to be more like you in those ways. You will be missed by all who knew you. ???? Such a great spirit to be around. You will be missed ???? You were such a blessing to work with. You could always make me laugh and see the brighter side. I always enjoyed your pictures of your children and I know your absolute love for them. I know you are up there in heaven changing things up and directing the parties all in pink! I will miss your vibrant presence and personality. Sending prayers and comfort to your family and friends. Olivia I loved working with you. You were an awesome social worker and such a caring loving soul. I enjoyed hearing of your travels and exploits and looking at all the pictures of your kids you shared so often. They were definitely your life’s priority and my prayers for them will continue. You left us way too soon and now God has a spunky fiesty angel to keep Him smiling! No doubt you will have the most blingy bejeweled pink nails to show off. Olivia.... Liv!!! Gone way too soon!! Your infectious smile and laughter never went unnoticed. You got me through a really tough time in my life and I gained a great friend in you. My mind can not grasp the thought of your children living life without you. I love you my friend and so sad the trip you were planning to Atlanta will now never happen. Rest in sweet love and peace Liv. This one will take awhile???????? God bless Shawn and Sadie and her family. What a tragic loss for everyone involved. God bless her children and her family. Liv was always so nice and so funny. I had not seen her in years but this weighs on my heart. Liver...Liv...Olivia. You are truly one of a kind. I can't remember a time you didn't make me smile. You don't know this but I looked forward to seeing your FB posts because you always showed me and all your followers how valuable living life was and how you embraced it with every moment you can. Especially with those beautiful babies. I still just can't believe that you are gone and that your life was taken way too soon. I'm very grateful to have all the great memories I have of you and with you. You will definitely be missed baby girl. I love you very much! To the Hamey Family you will always be my and my families prayer. There are no words that appropriately express how saddened I am for your loss. Please know that you are thought of and lifted up in prayer. I pray your happy memories of Olivia, the many expressions of love & support and the Holy Spirit bring you some comfort. May your faith and the presence of His compassion bring you peace in the coming days. The most kind-hearted woman I ever met !! Great mom and friend you will always be in my heart ?? Liv, your babies are in my families prayers every night. Your laugh, devotion to your work, and your smile will be missed. Prayers for your family. Much love.